You'll be £19.99 closer to your next £10.00 credit when you purchase From Marne to Verdun. What's this? 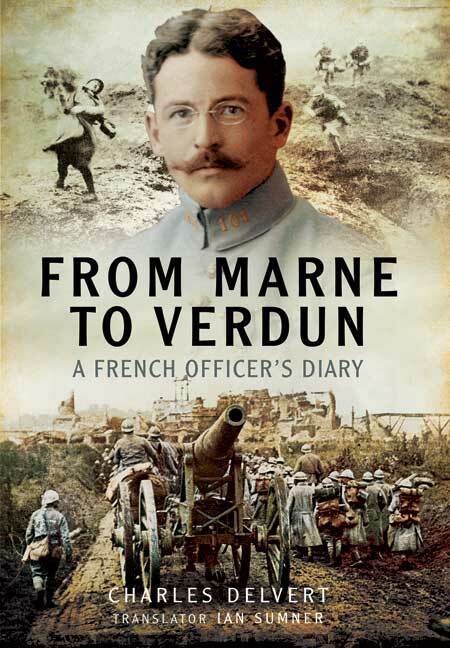 Charles Delvert’s diary records his career as a front-line officer in the French army fighting the Germans during the First World War. It is one of the classic accounts of the war in French or indeed in any other language, and it has not been translated into English before. In precise, graphic detail he sets down his wartime experiences and those of his men. He describes the relentless emotional and physical strain of active service and the extraordinary courage and endurance required in battle. His account is essential reading for anyone who is keen to gain a direct insight into the Great War from the French soldier's point of view, and it bears comparison with the best-known English and German memoirs and journals of the Great War. This is a compelling first hand account of the fighting on the Western Front, from a viewpoint rarely seen in British accounts of the war. Books about French soldiers serving during the First World War are not particularly common in this country and this example, straight from the horse’s mouth was no exception. First published in 1966 and again in 1981, 2003, 2008 and 2013, this outstanding personal account of life at the front from a French soldier’s perspective has finally been translated into English for the first time in 2016. It is interesting to note that earlier versions of this book had watered down Delvert’s account of life on the Western Front while this version is literally warts without the influence of post-war novelists and romanticises of war. This book is a must for anyone who wants a direct insight into life on the Western Front from the French soldier’s point of view. An outstanding account superbly translated. There are hundreds of books about front-line activities during the first world war, but not that many first-hand accounts. Although this book by Chalres Delvert is the memoir of a French officer, the premise is the same as if it had been an Englishman. It is the writing of someone who got caught up in an horrific set of circumstances that led to the needless and meaningless killing of countless millions in a conflict that stretched out over five years. Harrowing and illuminating. previously been translated for the original French. Highly Recommended. during a terrible war of attrition. Charles Delvert was born in Paris in 1879. He was educated as a teacher at the École Normale Supérieure and then taught history in schools in the south of France. During the First World War he rose to the rank of captain in the French army and served with great distinction at the front, in particular during the Battle of Verdun where his company mounted a heroic defence of Fort Vaux. After the war he return to teaching in Parisian schools, and he died in 1940. His classic wartime journal Carnets d’un fantassin was first published in France in 1935.